GC-42 : Feature-rich, versatile tracking unit. 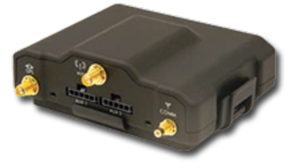 The GC-42 is an intelligent device with an array of vehicle inputs. Its features, expandability and flexibility meet all customers ever changing fleet management needs, not least because of its ability to connect with numerous external devices. Cellular network configuration GPRS / EDGE / HSPA, or CDMA 1XRTT. Memory logging of 20 000 positions per day. Motion sensor, hard braking and crash detection. 32 geo-fencing zones and 5400 vertices. Integrated cellular and GPS antennas for ease of installation. Shock and vibration resistant : US Military standards.